Tomorrow‘s your last day to submit to the Friends of the Merril Short Story Contest! Get cozy, rat-a-tat your keyboards, and get those stories in! Don’t forget that every participant will receive an e-copy of She Walks in Shadows ed. Silvia Moreno-Garcia, not to mention the chance to win $500! 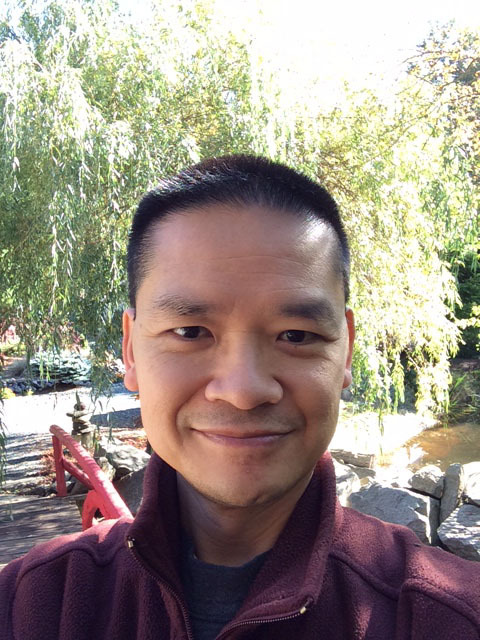 Today we present to you an interview with Lucas K. Law, publisher of our sponsor, Laksa Media Groups, and editor (along with Susan Forest) of the forthcoming anthology, Strangers Among Us: Tales of the Underdogs and Outcasts. 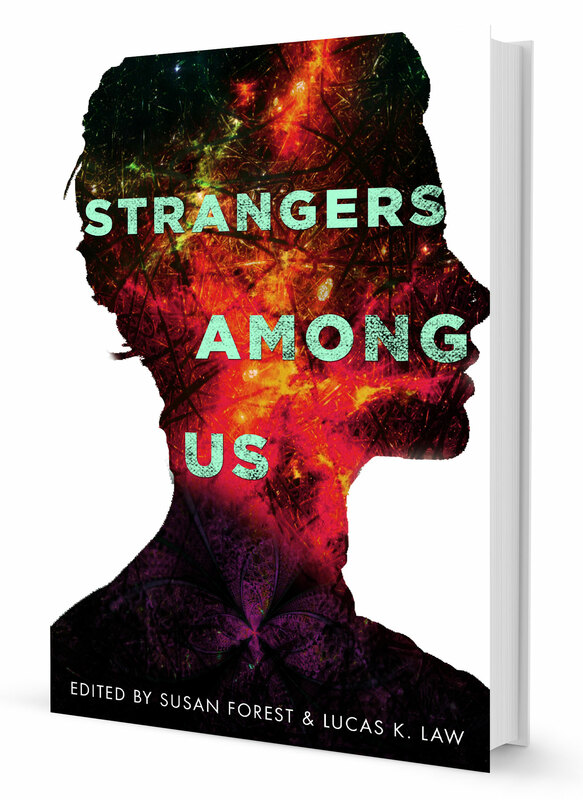 Strangers Among Us is Laksa Media’s first anthology. Did you solicit stories or draw from an open submission period? Can you tell us a little about how those processes differ? Susan Forest (my co-editor) and I discussed the different type of submissions for Strangers Among Us: Tales of the Underdogs and Outcasts: close (solicitation/invitation), open, or a combination of both. We chose the best process for us, which was submission by invitation. Closed submission means we solicit stories from a list of writers. It doesn’t give a guaranty for publication. The submission still has to meet the anthology’s theme and fit the editor’s vision. An anthology is not just a collection of short stories thrown together; it is like a novel—a series of connections between stories, giving the anthology its overall pacing, cadence and structure. Using the solicitation process controls the number of submissions (to a point), and the rate of acceptance is higher than that of an open submission. We invite more writers than we can have spaces for in the anthology. We didn’t want an open submission for Strangers Among Us because we didn’t want to flood the speculative fiction market with rejected submissions based on a similar theme—mental health/mental illness. How do you decide who to solicit for stories? What do you look for in a writer before approaching them? Strangers Among Us is an all-Canadian original anthology. We look for diverse stories–to reflect our wide reading taste—and not the same type of great story over and over again. Some writers are recommended by other editors, publishers, and writers. Some are based on the writers’ works we have read and we connect with their stories emotionally and/or intellectually. Some are passionate about the subject. Some work in the field or related field. Some write both literary/mainstream and genre fiction. Some write across the categories and genres. Strangers Among Us looks like a gorgeous book with some stellar contributors. Is the final product what you imagined when you set out to put the anthology together? Did it surprise you in any way? Thank you for the compliment. Samantha Beiko (Managing Editor of ChiZine Publications and ChiGraphics) did a wonderful job with the cover and interior layout. The final product is better than what we have imagined because of the writers and people working in the project. The depth of generosity towards this anthology is exceptional. We were surprised by the number of stories we received from writers who had originally gave us a ‘maybe’. So there were more stories than open slots, and it was very tough having to reject some of the stories we loved. Another surprise was the diversity in how each writer approached the theme and structure. The anthology has a good mixture of established professionals and up-and-coming writers. We even have a first professional fiction sale. Are there any plans for more anthologies in Laksa Media’s future? Laksa Media has two speculative fiction anthologies for 2017. Susan and I are back working together on The Sum of Us: Tales of the Bonded and Bound, which is a follow-up to Strangers Among Us. This time, we explore the world of caregiving and caregivers. I love short fiction, and I have too many anthology ideas than I have time to do them all. So, I am always on the look-out for anthologists/editors to co-edit with me. I am fleshing out a few ideas for 2018 (I do look that far ahead)—having enough time to do a project well is important to me. I want to expand into narrative non-fiction, mainstream fiction and other genre (such as noir, mystery and interstitial) anthologies, all related to our mission of bridging subjects (social causes) that aren’t getting enough attention to the written word—paying forward and giving back. Oh, boy… I have too many. If I have the time and budget, I love to combine art and written word into a unified voice—getting a group of editors, writers, illustrators, songwriters, scriptwriters, filmmakers, playwrights, actors, singers, readers, publishers and teachers into a room and develop a series of fiction and non-fiction books (reluctant readers/children/YA/adult/graphic), comics, plays, films, documentaries, songs and in-between, all related to a single social cause—to showcase experimental/traditional takes, mainstream/genre, and literary/commercial and blur the lines between those ‘so-called’ groups. We have festivals or showcases throughout the year in different cities and towns, rural and remote communities. I enjoy collaboration and its challenges. Collaboration isn’t easy, but I do believe a miracle can happen when we all work together for a single cause. This aligns with Laksa Media’s tag line: Read for a Cause, Help a Cause, Help a Cause. Lucas K. Law is a Malaysian-born freelance editor, published author, engineering consultant, and business coach who divides his time and heart between Calgary and Qualicum Beach. He had been a jury member for a number of fiction competitions including Nebula, RITA and Golden Heart awards. When Lucas is not editing, writing or reading, he is a consultant, specializing in mergers and acquisition (M&A) activities, asset evaluations, business planning, and corporate development. This is it – the last week to submit to the Friends of the Merril Short Story Contest! Submissions close at midnight on December 20th, 2015 – so get your entries in! Today we bring you an interview with one of our judges, Silvia Moreno-Garcia! You have edited a number of anthologies for Innsmouth Free Press and Exile Editions, ultimately publishing stories that were solicited as well as chosen from open submission periods. Can you tell us a little about how those processes differ? Open submissions are like panning for gold. You are reading a large set of stories, 200 to 400 in my case, and seeing if there’s anything that catches your attention. Solicited stories are much more of a sure thing. You know you are going to probably get some high quality stuff that is on mark, you just don’t know if it’ll be what you ultimately need. I look for people I would like to work with, whose writing I admire. Some are folks I regularly work with (Molly Tanzer, E. Catherine Tobler) and others are writers I have never worked with but who I hope to publish one day. For example I had published a Gemma Files reprint in an anthology before so I asked her if she would contribute an original piece for She Walks in Shadows, both because I thought she might have an interesting point of view and because I hadn’t had a chance to buy an original Lovecraft story from her. I read a lot of short fiction and when I find a story I like I tend to drop the person’s name into a folder so if an opportunity ever comes up, I’ll contact them. That’s why you should have a website with a clear way to get a hold of you, writers. She Walks in Shadows is a gorgeous book with some stellar contributors. Is the final product what you imagined when you set out to put the anthology together? Did it surprise you in any way? Going in I never know what an anthology will look like. I have some preconceived notions but because I’ve done open submissions periods for everything I’ve bought I have had a more amorphous view of the final product. I think I was, maybe surprised is not the right weird, but there is a strand of concerns about the body and identity running through the anthology which I did not expect. At one point I wondered if it was too-heavy handed, but it’s something that just kept popping up in the stories. For better or worse this seems to be a concern of women, at least the women writers who submitted to us, so I let it bloom in the book rather than trying to cull it. You get these weird little tics in anthologies, things that bubble up and tie it all together, and that’s one of the things which ties the book together in a subtler way. Are there any plans for future anthologies in your or Innsmouth Free Press’s futures? Tell us about your dream project! Nothing with fiction. We are going to publish a book of non-fiction by Orrin Grey, but we are still working out the details for that. It’ll be related to movies. I’m not in a hurry to edit anything in the next few years. My novel writing career has taken off. My debut Signal to Noise came out this year and did well critically and I sold another novel to Thomas Dunne, which will be out next year. So I’ve been revising that second book and just sent in my final version. It’ll be called Certain Dark Things and is about a garbage picker in Mexico City who meets some narco vampires. Oh, and Lavie Tidhar and I are putting together this avant garde zine project. We’ve roped some interesting writers and artists into it. Thank you, Silvia! Everybody who submits to the Friends of the Merril Short Story Contest will receive a free e-book of She Walks In Shadows as well as the chance to have Ms. Moreno-Garcia read your work – so get those stories in! Three weeks left in the 2015 Friends of the Merril Short Story Contest! Have you sent in your stories yet? Not only would we love your support, but this is a great opportunity for writers at any stage of their careers. Over the next few posts, we will be presenting interviews with past winners of the contests, from hobbyists to now-established pro writers of short stories! Today we are pleased to re-introduce you to 2013’s winner, Ada Hoffmann! Your story, “The Mother of All Squid Builds a Library,” won the 2013 Friends of the Merril Short Story Contest. It went on to appear in Strange Horizons. Can you tell us a little about the publication and the journey from contest winner to sale? “The Mother of All Squid Builds a Library” was written as a birthday present for Bogi Takács, who had requested stories for eir birthday and listed cephalopods, hive minds that aren’t presented as a bad thing, and other things among eir favourite themes. I’m not sure where the library came from, but once I had the title with all of those elements, the rest of the story coalesced immediately. It was meant to be short, simple, and delightfully weird. There was editing, of course, but mostly just to tighten up sentences and paragraphs; much less than I need to do with many other stories. Once I sent it to Bogi on the appropriate day and confirmed that e liked it, I was then free to try to sell it somewhere. I don’t really differentiate strongly between contests and publication venues when I submit my work. (Though I should note as a corollary that I rarely submit to contests at all.) The Friends of the Merrill Collection Contest was, I believe, the second place I sent this story. Strange Horizons was the third. I suppose it’s a story that’s led a charmed life. The route from idea to publication rarely runs as smoothly for my other work. I’ve written stories ever since I learned to use a computer keyboard, but I have been writing for publication only since 2008, when I examined myself and realized that writing was vital enough to my wellbeing to be worth it. I found online critique groups very helpful at first in helping me hone my craft, though I have since moved on and use a more selective, informal group of beta readers. My first sale was “The Chartreuse Monster”, to Expanded Horizons, in July 2010. It was a token-paying sale, but a very positive one for me, as it resulted in several years of friendship with an editor who was passionate about some of the themes in my story and introduced me to important new ideas. 2013 was a breakout year for me, and the year in which I had my first pro sales. Two of these, including “The Mother of All Squid Builds a Library”, appeared in Strange Horizons; another five (!) appeared in various other places. I also began to be successful with speculative poetry. Writing and getting published began to feel easy; I got cocky. Then 2014 happened and almost all of that vanished; due to immense health and personal upheavals, my writing ability dwindled to nearly nothing. 2015 has been spent trying to inch my way back towards making up that lost ground. I’ve done work throughout the year, and produced things – largely things that are not yet published or publishable, and thus not visible – but it’s only in the past few months that I’ve begun to feel like a real writer again, in the sense that I can spend time working on my writing on a fairly reliable basis and feel that I have something to show for it. It will still be a while, if ever, before I can reach 2013’s levels of visible productivity again. The project I am most exicted about currently is a novel draft which was recently sent out to my beta readers. This is a story I’ve been working on, on and off, with a great number of setbacks – some unavoidable, some due to my own poor planning – since 2012. I am also working on a series of dinosaur poems, and many other small drifting projects, many of which I hope I can share in the new year. I believe that writing, even rather non-realistic writing like “The Mother of All Squid Builds a Library”, is an important tool for learning about and exploring ourselves. I believe that the building blocks of stories, like the building blocks of dreams, are fundamental parts of us and that they say things about us even when we intend to say nothing in particular. I want to express a full range of human emotion and experience in my works – not necessarily in each individual work, but in my artistic practice as a whole. I want to express great joy, great despair, great hilarity, great seriousness, everything. In particular, I am interested in finding ways to express those things which are not expressible in realistic fiction, because our conscious account of how the world works does not make room for them. As an autistic writer, I also have a keen interest in the representation of autism in speculative fiction. At the moment I engage with this more in my criticism and blogging than in my creative writing, but I have written (and sometimes published) several stories which I hope portray autistic protagonists as something other than tragedies, “inspirations”, or burdens. I hope to write many more. Unlimited time and energy. But then, don’t we all? Thanks to Ada for her time and wisdom this week! Ada Hoffmann lives in southern Ontario, where she routinely sings too many high notes for the neighbors’ comfort, talks to invisible people, and makes blood sacrifices to the Elder Gods in her fuzzy pajamas. She is a graduate student at a major Canadian university and spends her working hours trying to teach computers to write poetry. When not absorbed or this or in writing, she likes to LARP, to take care of her cat, and to rant about autism on her blog. You can find her online at http://ada-hoffmann.com/ or as @xasymptote on Twitter. We have been open to submissions for two months now, with one month left! Submissions have been strong so far, but we have a ways to go. Overwhelmingly, our entries this year are from… Toronto! The local scene seems to get stronger and stronger every year, but don’t worry, our submissions are blinded to the readers – and we love to read stories from all over the world! In addition to more international submissions, we would love to see more submissions from women, POC, and members of the QUILTBAG community. We strongly encourage those unique pieces you worry won’t fit anywhere else. We are a open and welcoming Contest with a great love of work that challenges us! For the locals – not sure about your story? Consider bringing it down to SFContario/Canvention this weekend (November 20th-22nd 2015.) In addition to a great schedule of readings, panels, and shows, there are some great workshop opportunities for emerging and established writers both. On Sunday, November 22nd, 10-11am, AE SciFi publisher Duff McCourt will provide an authentic “First Page Slush Experience,” critiquing and commenting on the first page of your story. So submit soon, and submit often! The contest closes on Sunday,December 20th, 2015. We look forward to reading you!